Thank you for continuing to share God’s love and plan of salvation. It is reassuring to know that our faith in Jesus Christ reassured us of eternal life in Heaven. Your earthly presence is missed but I know you are rejoicing. God Bless You and thank you Rev. Graham! Billy Graham continues to be a blessing, a role model, a teacher, and an uplifter of Christ even after his passing from the flesh into the Spirit. Praise the Lord our God and our Savior Jesus Christ! Thank you Reverend Graham for your service. You have honored our Lord well. The world will miss your presence, but cling to your promise. Now you can remain, through the miracle of memories, in this world, but be not of this world. God bless you and keep you sir……for we surely will. Praise God!! Reverend Billy Graham is still even in his departure calling souls to Christ. Rev. Graham was the first Pastor’s name I knew as a little girl in jamaica West Indies. This is so because Mama would always gather us together to watch him on TV and she would always mail donations to his ministry. Very often. We went to church every Sunday, but it was Rev. Graham we ran inside from playing to see on tv. Many people didn’t have tv so large groups would gather in and out of our house to hear and see him deliver the message of salvation. May Reverend Billy Graham continue his tenure with Christ in Glory!! only trust Him now; He will save you, He will save you. 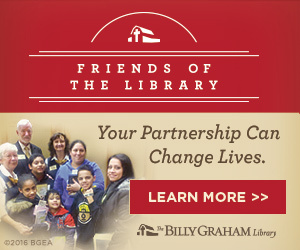 Thank You Rev Billy Graham..Billys Sister, Franklin, Brother and Sisters. Thank you for sharung your Brothet and Father with us. It’s great what Billy Graham did and said! Billy Graham has had such an impact on my life and I have been fortunate to follow him for many years. I first became a follower when my husband(Bill) and I took a bus of “old folks” from our church in Santa Ana to the crusade in Los Angeles. We were young marrieds and it was so exciting. I had been a follower of Christ all my life but this was different and very spiritual. I have enjoyed Decision Magazine for years and last year I enjoyed my second visit to “The Cove”for a week and a visit to The Library. Thank You Dr. Graham We love you. There’s nothing we can ever do and my friend Billy Graham knew that, that only what Jesus Christ did, dying on the cross that day – paid the cost for all our SINS! 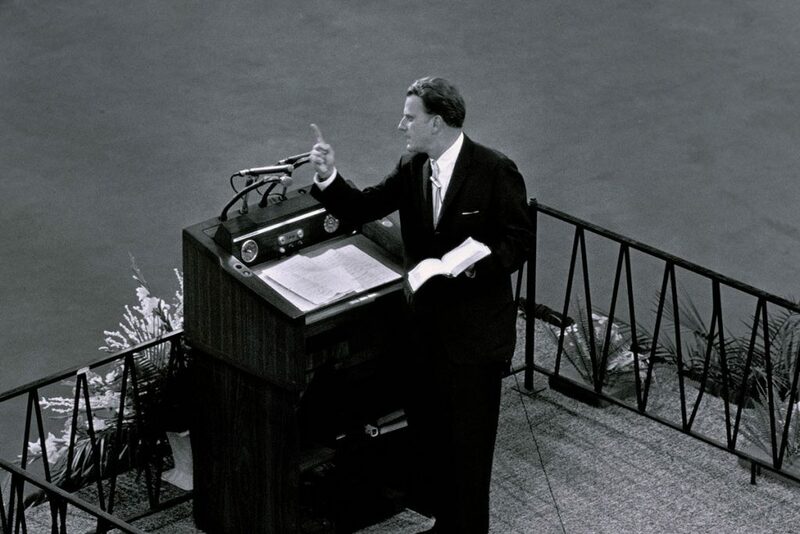 But I got saved at a Billy Graham Crusade at 15 yrs old, 53 yrs ago I feel I owe Billy so much. Following Jesus has changed my life! I am so thankful to have heard Rev. 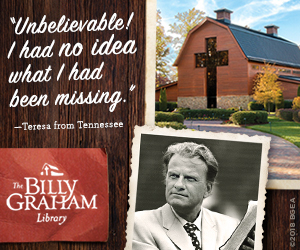 Billy Graham preach, to have seen him live the life that honored God. I pray that God will continue to use his life to continue His work on earth.God bless Rev. Graham’s family and loved ones. I have admired Billy Graham for years and I wan’t to meet him in Heaven. He’s been one of the greatest evangelist in the world!! I look forward to meet Him in Heaven with Jesus. He’s been a tremendous evangelist I’ve ever known!! May God replace Billy with another great evangelist ! Thank you Jesus for using Billy for an evangelist for you and our Heavenly Father!! May Billy be excited to be with God the father and God the Son!!!! May God create another evangelist like Billy Graham !!! 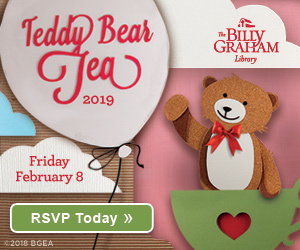 Thankyou for this email…may God continue to work through the Billy Graham ministry forever!! So many more people will invite Jesus into their lives!!!! I watched the funeral which reminded me of his tent revivals plus the ones I grew up attending. I gave my life to Jesus Christ when I was 9 yrs old. I am 76 now and found through many trials that Jesus was always the way forward. Sometimes my prayers aren’t answered the easy way but I still believe. I love Billy Graham. He is the only Evangelist that I listen to and totally trust. I know that he is the real deal, the real McKoy. I wish he was still with us but I know he is happier where he is, that he couldn’t wait to get there. I have been watching & listening to his crusades&sermons a lot these last 3 weeks. Because of him I’m reading the Bible again. I have a lot of questions though and need help with my Christian walk. I thank God for Rev. Billy Graham. My thoughts and prayers go out to his family in their time of loss. God Bless you all. I appreciate receiving this information on Billy Graham and have forwarded it to a friend to read also. Beautiful answer. God bless you Bill. Thank you for the journey. And thank you for helping me seek His face. God bless everyone. Even though his physical presence is not on the earth, I believe Billy Graham will continue to win innumerable souls for Christ due to his honest and clear message of Salvation. Praise be to God. God bless Billy Graham and Franklin Graham and the whole Graham family! They have done so many wonderful things for this country and world – and continue to do so! Billy Graham taught me so much about the Lord and how to live and trust in Him. Thank you so much! Many have professed to be Christians. Many have professed to teach the gospel and stood behind a podium on a platform communicating to hundreds. 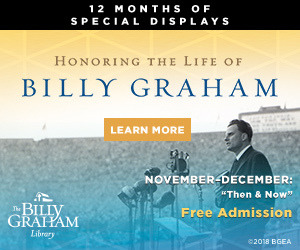 There is no one in recorded history who has been consistent in his life as a father, husband, and preacher with the same message as Billy Graham. No scandal, no hypocrisy, just the life of a man who loved and preached the love and grace of Christ. His words struck my heart as I read through and make me realize that I am just passing through this world. I celebrate the life he had lived here on earth.